I remember how angry I was the day I learned that there was BPA in the lining of standard mason jar lids. I felt so defeated - like the chemical industry will find a way to get you one way or another. Two weeks before writing this post I contacted Ball Canning (click here to contact them too!) and asked when they were going to offer a BPA free option in their traditional lids, and I have yet to get a response. However, there are alternatives, as well as fun options to expand the use of your existing canning jars. Weck Canning Jars are an elegant, classy, BPA free alternative, and they are made in Germany. 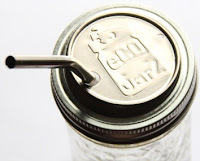 They are suitable for home canning, and have four components - the jar, the rubber seal, the glass lid and metal clips. 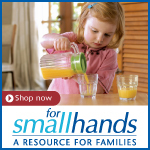 They come in a variety of shapes and sizes including bottles, and when I first discovered them, the only place I could find them was on the manufacturer's website. Years later, they are now becoming available at more and more retailers. Since my mother used to can, I had dozens and dozens of jars and canning equipment generously gifted to me, and replacing all the jars themselves was not an option. The Italian company, Bormioli Rocco, makes a one piece screw on canning lid with their Quattro Stagioni jars that is BPA free. You can often find italian made Bormioli glass items at your local TJMaxx, Homegoods and Marshalls stores, so they are easy to find, but if you just need the lids you will probably need to order them. I found my lids here (scroll down on the link). Note: the smallest size lid will not fit a standard ball/mason jar, but the medium lids fit the regular sized ball jars and the large lids fit the wide mouth ball jars. Ball did come out with a screw on BPA free lid, but that's still a little too much plastic for my liking. Plus, since they have made no move to discontinue the use of BPA in their traditional lids, I'd rather not give them any more of my money. There is another option that while plastic, is BPA free, made in the USA and still a little less plastic than a large screw on lid. 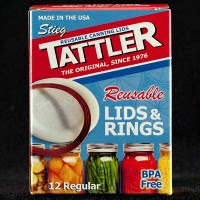 Tattler makes a lid that turns your traditional lid into three pieces instead of two, because the rubber seal is separate. If you're only looking to replace the flat portion of the lid because you already have a large supply of the screw on bands, this may be the most economical option. Finally, something I just discovered is a stainless steel, BPA free lid with a silicone gasket that can convert your mason jar into a sippable mug. EcoJarz lids can even fit on empty jars of store bought pasta sauce and more. If you prefer a straw, they also sell stainless steel straws on their website to complement their design. The lids fit regular mouth jars, and they also carry a silicone version of the lid. 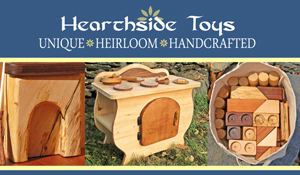 The company is based out of Denver, CO and Ithaca, NY. 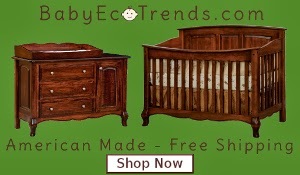 "Thank you for contacting Jarden Home Brands. We’re not sure when you wrote to us to inquire about this before, but we answer correspondence regularly, although we are certainly busier at the height of canning season. We apologize if we missed your email! In answer to your question, Ball and Kerr canning lids have been BPA-free since last fall. Jarden Home Brands listened closely to customer concerns about bisphenol A (BPA) in the coating of Ball and Kerr home canning lids. Over the past three years, we have extensively studied the different coating and base material options available in the industry that meets the technical requirements of home canning. The dedicated work of our in-house engineers and scientists along with our outside partners has culminated in a bisphenol A- (BPA-) free coating for home canning lids. This coating is compliant with FDA regulation 21 CFR175.300 - Resinous and polymeric coatings, for products and processes, and the sealing material is compliant with FDA regulation 21 CRF 177.1210 - Closures with sealing gaskets for food containers. 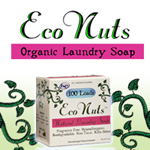 Ball and Kerr products are now manufactured using a BPA-free coating. BPA-free lids have been in stores since fall, but some stores may have old stock. BPA-free lids can be identified when sold together with jars by the fact that they now say "Made in USA" on them (they have always been made in the United States, but have not always said so on their packaging). Lids in separate boxes will also say this on them, but the box will have at least one of several markers: a yellow banner across the corner saying "BPA-Free," a similar banner saying "Made in USA," and/or a date scan code anywhere on the box. Collection Elite lids purchased with jars can be identified by a dot pattern interspersed between the decorative scrollwork atop the lids. Lid packaging that always features the “BPA-free” banner on every box is rolling out this summer. The lids are a tin-plated steel with a BPA-free modified vinyl, and the varnish is a modified epoxy. We hope this information is of assistance!" Just got this word from BPA Canning Company. 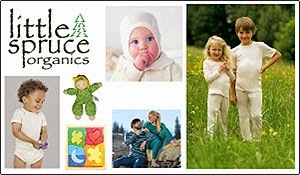 They began production/release of their BPA-free lids in January 2013. To identify a BPA-free box (they are not marking it on their boxes, according to the company spokesman), look for a production code printed/stamped on each box that is One Letter Followed by 10-11 Numbers. On Ball boxes, you'll find the code next to the flag on the bottom of the box. On Kerr boxes, you'll find the code on the back of the box, above the text. It won't be a particular code, but only BPA-free boxes will have these (or any) codes like this stamped on them. Oh, happy day! I find it hard to believe that Ball would pass up an opportunity to advertise "BPA FREE" on the box. They are not putting it on the box because they cannot legally put it on the box, meaning they ARE BPA! Yes I've seen that, and I've yet to receive confirmation from Ball/Kerr myself. I also keep forgetting to look for these packages in stores. Regardless, as this article states, they refuse to release what the replacement is. When I contacted Muir Glen about their canned tomatoes, the BPA replacement was vinyl based, which I was equally frightened of. Until they provide an answer to that, I will continue to provide people with alternatives. Thank you for your input though!